I know that I haven’t been on here in a while, but first I need to say something else. Something even more important than any post that you could ever read here, or any doll blog for that matter. AG has officially declared their support for gay marriage. They boldly revealed it in their November/December magazine edition. My mom usually never looks at my magazine when I get it in the mail, but something told her to this time. 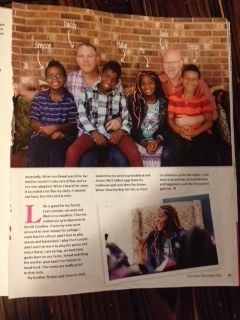 She scanned through and saw this article about a girl’s “Forever Family”, including her gay parents- as you can see from the photo. She took me into my parents’ room, and we sat down and talked. She showed me the article, and asked me what I thought I should do about it. 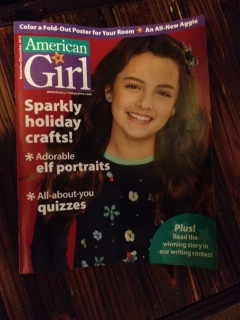 I told her I wanted to encourage all of you to help me show American Girl that this is not what we expected from them. We trusted them to let us focus on being girls in a CLEAN AND SAFE environment; not to promote and teach young girls that this is natural and right! So I’m asking you guys to help me show AG what we think and what we stand for! Share this post on your blog, or write a post yourself. Post on all the social media that you are involved in, share with friends, family, and acquaintances, and write to American Girl to tell them your thoughts. Also, I want you guys to know that I’m not judging ANYONE. I just believe that we have the right to protect ourselves from things that we should not be influenced by. Also, I’m not shutting down this blog, selling my dolls, or going to stop visiting doll sites. I love dolls, but now, I VERY much dislike AG. I feel they have betrayed us. It makes me upset and sad because of what they have done; one of my main hobbies has been partly destroyed. For this reason, I will not support them or buy any of their products in which the proceeds go directly to them(I will, however, buy used). Once again, I encourage you all to voice your thoughts and opinions on this matter. Previous Post DollDiaries is Giving Away a Maryellen Larkin Doll! What? AG Had An Article on GAY MARRIAGE Yeah let’s focus on that. Not on the girl’s story. What happen to the clean environment oh no my eyes are scared ahhhhhhhhhhhhh AG had an article on this the world is ending ahhh the world is ending Please they are regular humans. First off American girl is not supposed to be affiliate with religion or stuff. That’s why it is a good company because it allows every one to come. Secondly I learned that God loves everyone right. We are his children and has no hate so are saying he is a liar because apparently he hates gays? Makes no sense to me but whatever. Yes, God does love everyone! He hates the sin; not the sinner. I wholeheartedly agree that we need to love the LGBT community to share Christ with them, but I refuse to support their actions. Hi, Kim. God does love everybody, no matter what, but gay ‘marriage’ is wrong because God created marriage as an unbreakable covenant between a man and a woman for procreation. To have a gay ‘marriage’ is like mocking this sacred union, and two gay people can’t have children, so what’s the point.I hope this helps. I had no idea about this! This is horrible, yeah, I feel the same way. Yes I know that all my church friends are unaware. Hello! I know this is an old post… but I’d still like to comment. When I was 9 I was going to buy an AG doll. 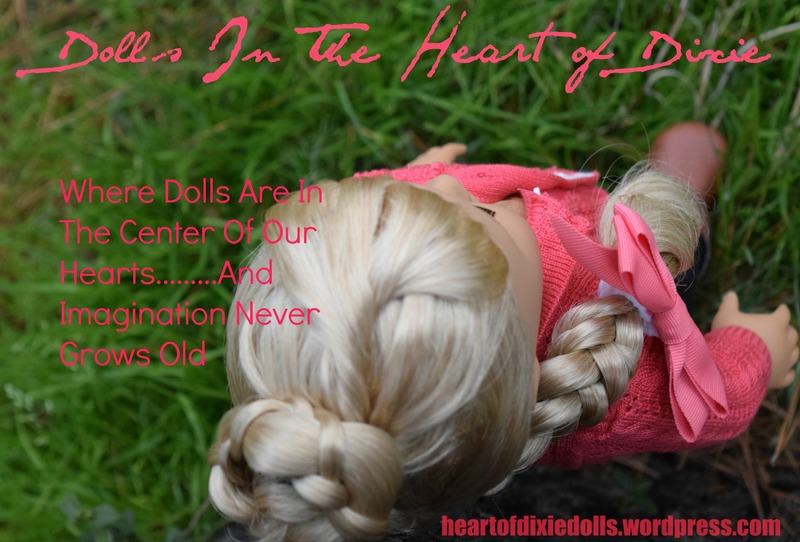 I saved all summer for the doll… and then discovered that they supported abortion. I immediately decided to never buy anything from them. I bought their books/ movies from thrift stores and still received the free catalog… I’d cut it up into “papers-dolls”. Just recently I finally found a retired Felicity. I’ve always loved the dolls… but not the direction the company is taking. Love your stand on this! Thanks so much for commenting and for the encouragement!! Thank you for standing up against abortion!